The last day in January and very appropriately it’s snowing. Additionally, the weather-bots are cheerfully predicting sub-zero temps tonight and all day tomorrow. 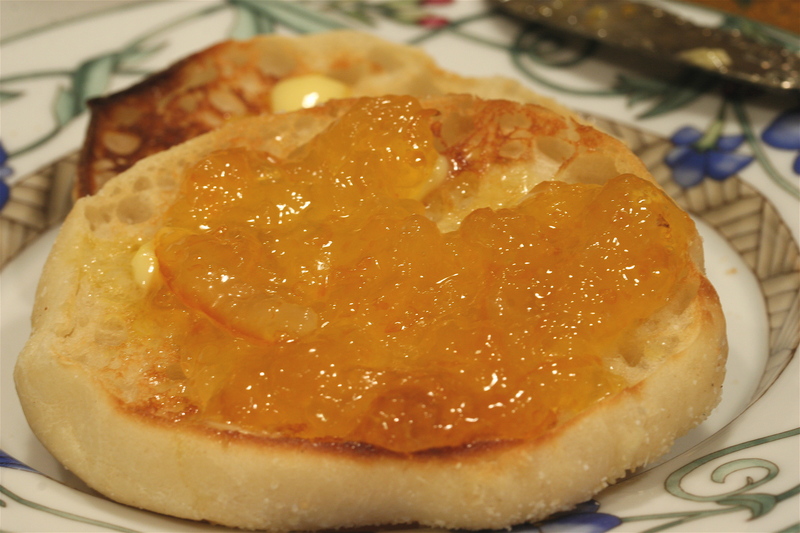 I am sitting cross-legged on the bed, drinking coffee and eating an english muffin with butter and Meyer Lemon Marmalade. If I close my eyes, I can see the bright blue water and sandy beaches, palm tree fronds gently moving with the soft, warm breeze sliding over my skin. Okay, okay, slight exaggeration but this marmalade tastes like you think sunshine would taste. Having a jar of Meyer Lemon Marmalade is like having one of those sweet tropical escapes in the middle of winter. 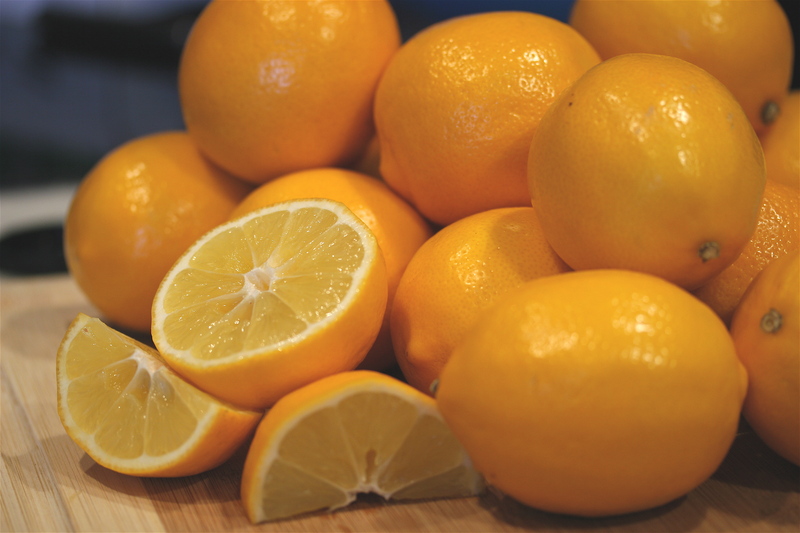 A Meyer lemon is (according to Wiki) a cross between a lemon and either a mandarin or a common orange. It’s a bit rounder, with a much thinner rind and deep yellow hue with a orange-ish cast to it. When you cut one open for the first time, you will smile immediately, the scent is floral orange at first and then gently lemon. It smells happy. It tastes that way too. They are soft, barely sweet, with no hard acidic bite. You must try them if you can get them. Go on, go get yourself some. They’re in the grocery and green markets now here in Colorado, but not much longer. Watch for them, if you see them, grab them!